This Leading Edge Health Brain Pill review is going to take a closer look at the facts and details to learn more about how this brain boosting supplement works and to see if it’s worth trying out. 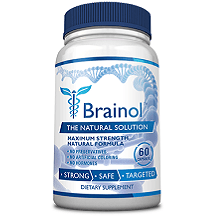 The manufacturer claims that taking this supplement can boost your working memory, help you quickly process information, have fewer distractions, mentally prepare for exams or projects, make effective decisions, perform at a high rate at work or school, cut through brain fog, reduce stress, perform better under fatigue and acquire new skills more easily. They also claim that it will enhance your ability to focus, perform better when you’re jet-lagged or lacking sleep and your ability to solve complex problems. The manufacturer does not share what the dosage recommendation is and we were unable to find it anywhere online. It is worthwhile contacting their customer service to inquire about their dosage recommendation. In order to know that a supplement is right for you, you have to know how to safely take it. We were unable to find any associated side effects. 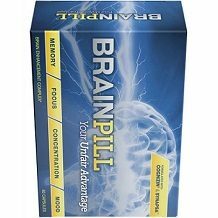 You can purchase Brain Pill directly from the manufacturer and from third-party retailers. One 60-capsule package costs $79.99 on the manufacturer’s website. They also offer the option to purchase two boxes for $149.99, a package of three boxes for $219.99, four boxed for $289.99 plus free shipping within the USA, five boxes for $359.99 plus free shipping within the USA or six boxes for $399.99 plus free shipping within the USA. The manufacturer claims to offer a guarantee that is the best in the business. After further digging, we found that they only offer a 60-day money back guarantee. They will only issue you a return for a 60-day supply which means that you can only return two bottles. If you purchase a package that is bigger than two bottles, they will accept a return as long as the remaining bottles are closed and unused. Leading Edge Health Brain Pill appears to be a promising brain boosting supplement. It is made from various ingredients that have been shown to have the ability to support brain function and it is encouraging to see that the manufacturer offers several discounted bulk purchasing packages. However, even with the discounted bulk purchasing packages, the price per bottle is still significantly higher than most other brain boosting supplements we have seen on the market. Furthermore, we found the manufacturer to be misleading. They have a feature on their website in which you can test yourself to see if you need to take the supplement for an extra brain boost and we found that no matter your answers, you will always fail and they will tell you that you are in need of their supplement. With so many different brain boosting supplements available on the market, you are better off choosing one that is affordably priced and one that is honest.